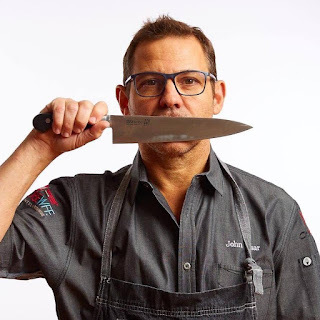 On the heels of season 14's "Top Chef" cast announcement, Chef John Tesar announces a new project that will see the celebrated chef revive some of his favorite and most popular Spoon Bar & Restaurant seafood dishes at secret locations throughout Dallas. The intimate dinners will be limited to 16 guests per night, with location and other details revealed the day prior to each event. The coveted dining experiences will take place on Oct. 28, Nov. 9, Nov. 14 and on Nov. 17 for a special John Tesar birthday dinner. Additional dinners will be announced throughout the holiday season. Each dinner is priced at $135 per person or $200 including wine pairings, gratuity not included. "Seafood has always been one of my culinary passions, and I'm truly excited to offer these events as an opportunity to cook my guests some of their favorite seafood dishes, as well as mine, from Spoon," says Tesar. Spoon Bar & Kitchen, best known for offering high-quality, responsibly sourced seafood, closed its doors in 2014. Seating is limited with only 16 seats per dinner. Tickets are on sale and can be purchased at: http://www.prekindle.com/promo/id/24545708309603763.